We didn’t exactly celebrate Christmas this year because we’re hunkered down with work on our farm. That meant no tree, no decorations. Jill didn’t even get her gifts because I couldn’t find them in the mess of our belongings, stacked in the barn. We have to laugh at stuff like that. We’re digging through our boxes of belongings every day. We never know what we’ll find. We discovered our wine opener yesterday but not our cookie cutters. Our plan, or my plan, was to get into the house before Christmas but we’re many weeks shy of that dream. 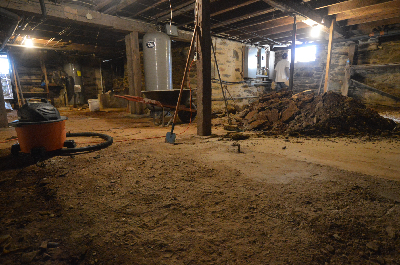 I’ve been working on the basement and the kitchen, the most troubled parts of the house. It’s slow going. 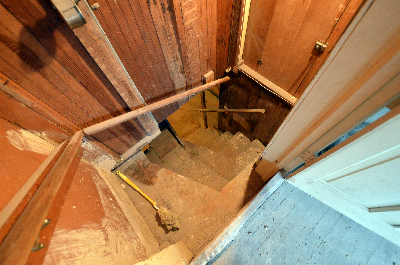 The basement is wholly underground and the oldest part of the house, dating from about 1880. The walls are stone, about a foot thick, and home to a half-dozen black snakes, who come for the mice. We’ve found snake skins all over the house. We like the snakes but can’t have them inside, obviously, so we’ve been sealing the chinks and holes in the basement walls. We’ve removed the 1,000 gallon water tank from the basement, two oil tanks, the old iron furnace, poured a new concrete floor, sealed the walls where water was coming in (flooding), installed a new stairway, painted the walls, and re-wired the lights and outlets. We need the basement clean, well-lighted, and dry (mostly) for storage. We’ll put our freezer down there, extra dishes, pantry items, etc. Bottom line is this: your house sits on your basement. 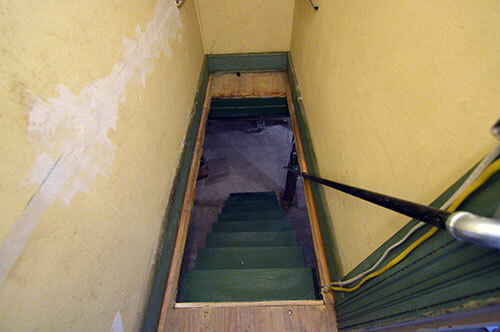 If the basement is gross–damp and musty and filled with creepy-crawlies–it will adversely affect everything above it. The kitchen was up-dated in 1957 (old newspapers in the walls told us this) and apparently it was built by a man who had a fondness for bomb shelters — because I have never seen a room so overbuilt. It took us weeks to dismantle it: 2 ½ tons of debris. 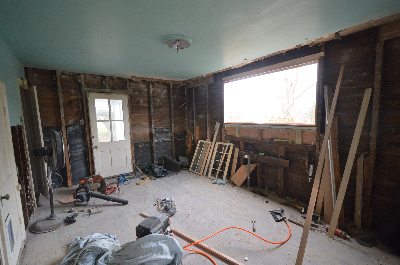 The walls were triple-plastered: the first layer was the original lathe and plaster, then old sheetrock, then 5/8-inch plasterboard over that. WTF? Somewhere underneath all of that was the original room with a 100-year-old pine floor. 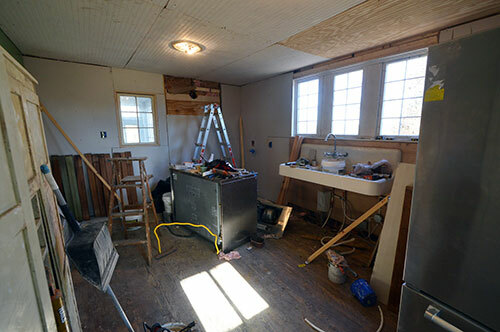 We took the room down to the studs and have been building a custom kitchen from scratch, using salvaged antique cabinets, the original (once covered-over) beadboard, the reclaimed (and re-cut) stainless steel counters, and so on. We got all new, high-end appliances, bought at deep discount scratch-and-dent and floor-model prices. 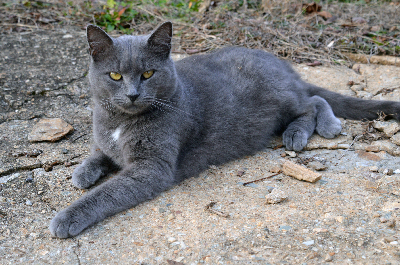 We spent New Year’s at a neighbor’s farm. Though they’ve been on their 50 acres for only two years, they have over 100 animals–sheep, goats, pigs, horses, and cattle. They are an inspiration. Jill is eager to get sheep. But we can’t do that until we get the farm in order. We continue to work outside, as the weather permits. I’ve run electricity into the yards (using a trench-digger) and now we lights at the entrance to our farm. 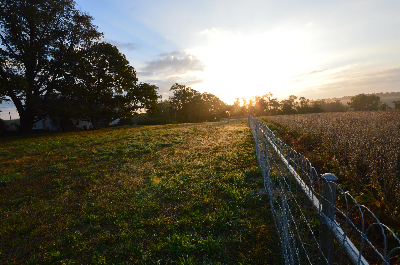 But that’s just the start: to get the farm wired completely, it’s going to take another 3,000 feet of underground electrical cable.